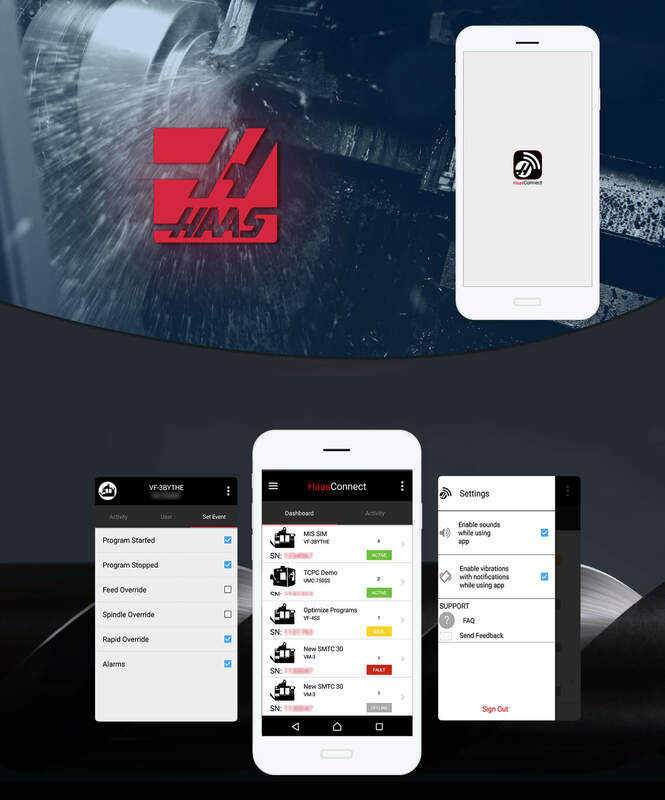 Enterprise App Development for Haas Automation Inc.
HaasConnect is an enterprise mobility solution that helps users to manage and oversee linked Haas CNC (Computerised Numerical Control) machines remotely. Enterprise app development is an integral part of the automation process that today every manufacturer wants to adopt to tackle productivity, quality compliance, and rising manufacturing cost challenges. This CNC programming app has made it easier for CNC operators to stay connected with their machines via any Android device. Haas Automation Inc. is a US-based machine tool builder with a special attention on the manufacturing of CNC vertical machining centers, horizontal machining centers, CNC lathes and rotary products that are in demand by industries like automobile and aerospace. Why Haas Automation Partnered with an Enterprise App Development Company? The takers of Haas CNC machines are mostly manufactures, either those supporting or representing industry verticals the likes of automobile, aeronautics, aerospace, steel, wood working, electrical and electronics. Interestingly, being a leader in CNC machines manufacturing, Haas Automation takes manufacturing a level up with this enterprise mobile app development. The key business value propositions of investing in a CNC programming app can be summarized as follows. HaasConnect enterprise mobility solution presents a rational solution to the challenges above by keeping engineers and machines connected over an Android device. The connectivity translates into advantages. Here is what users can do with the app. This enterprise app development has been pursued using the native Android resources, including Android IDE, Android Studio, and Java programming language. The database system of HaasConnect is driven by SAP and Hybris. It not just keeps the staff aware of the status of the CNC machine and productivity, but also helps them to do a better reporting on the performance matter.